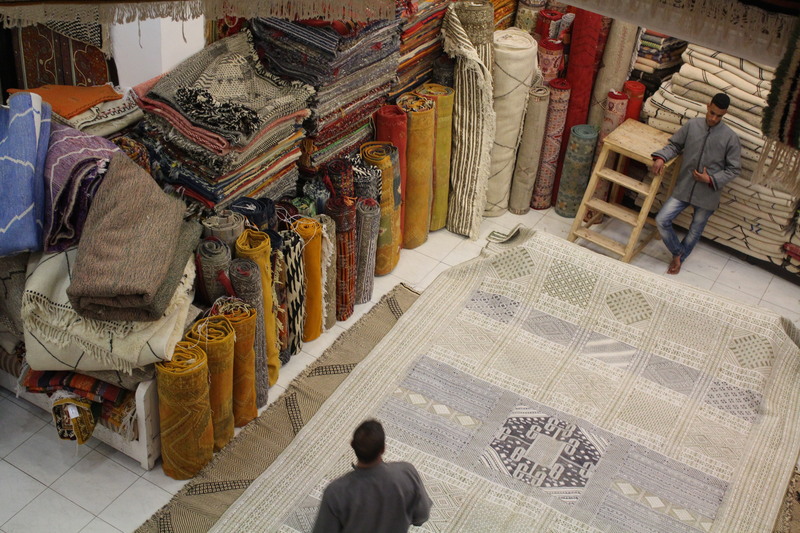 Beautiful dilemmas: Rug shopping in Marrakech | Oh, the Places We See . . . 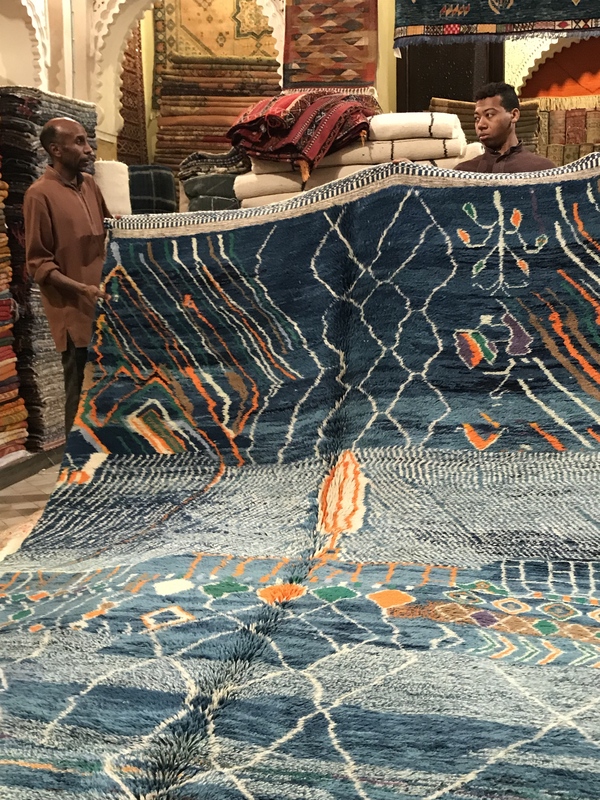 This entry was posted in Marvelous Morocco, Morocco, Retail Shops, Travel and tagged Marrakech, medina, Moroccan rugs, rugs, woven rugs. Bookmark the permalink. You’re right about the mint tea server! He was dramatic and a great host. Of course, it didn’t hurt that he was expecting big sales. And our group didn’t disappoint him! You deserve a life full of happiness and positively! So don’t let others get to you and believe in yourself. I am just a Dreamer. A hopeful, romantic, unsupervised living within the world of eyes; fighting for what lies beyond appearances, trying to find my way to somewhere I belong. 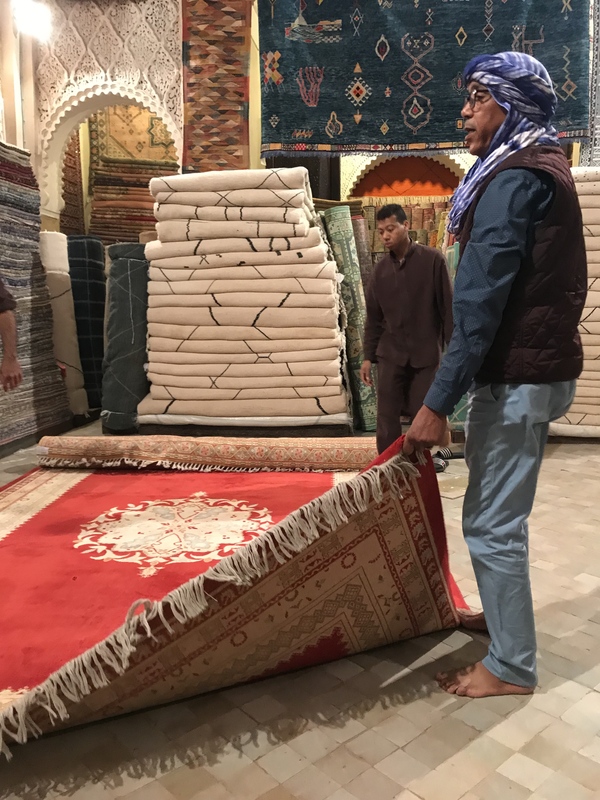 Thanks for taking a look at the rugs in Marrakech! They were stunning, and I hope everyone who visits that country will take time to admire them. Oh wow, I would love one of these rugs someday. But choosing one is going to be a nightmare as they are all beautiful! Great post Rusha. You should have included a photo of the rugs you bought – I’m very jealous!! Great idea, and I actually have two of them at my house. We gave the other two to my sons. One piece of advice I could have included is to take measurements while at home in order to purchase the sizes you need. We had no idea we would fall in love with rugs, so we weren’t as prepared as we should have been. So one of my rugs is rolled up in a closet. Who knows where it will end up. Still looking for just the right place! Wow, that is a REALLY GREAT post. I am so jealous I cant wait to go! Thanks so much! It was a really great rug shop! 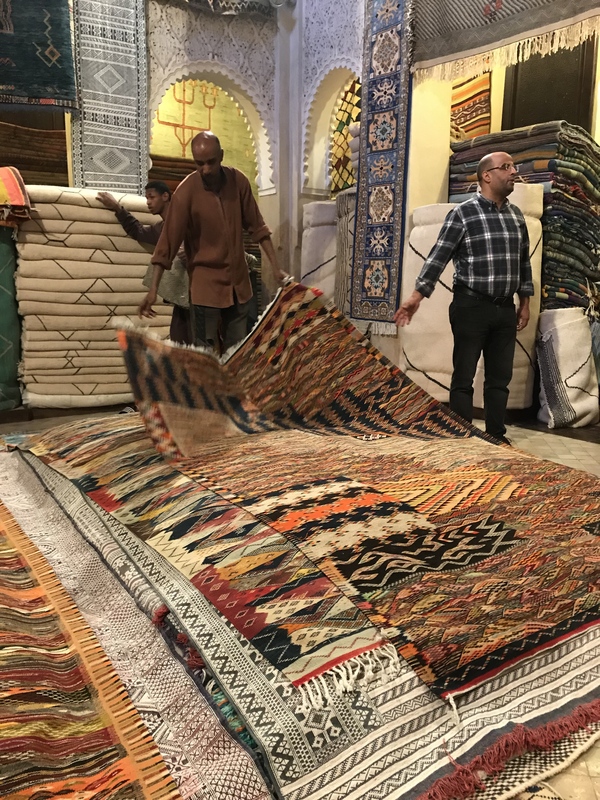 We visited two — one in Marrakech and one in Fes. Both had lovely inventory and both had men sharing knowledge about origin, patterns, etc. Absolutely beautiful! Thanks for shopping with us!